And don’t forget Sunday’s meeting. We’re traveling light! 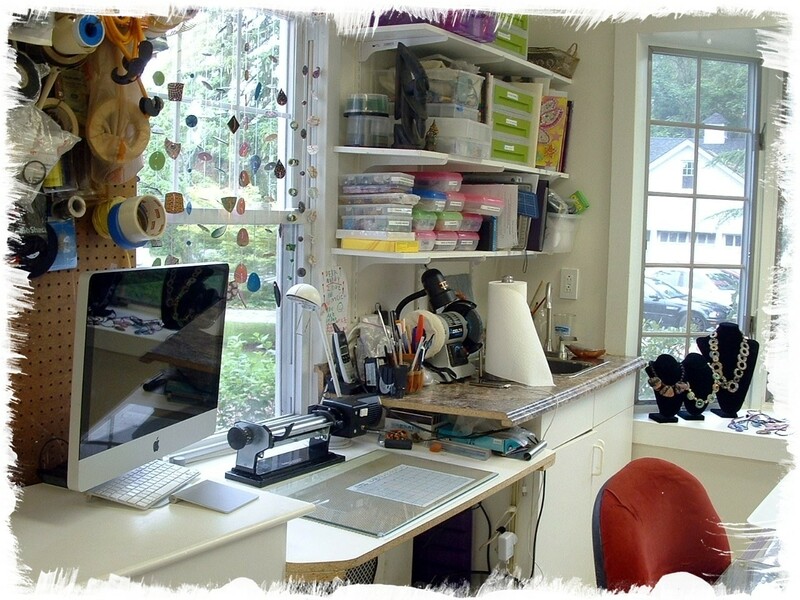 Earlier this summer I got to spend some time in Arlene Groch’s spanking new studio. 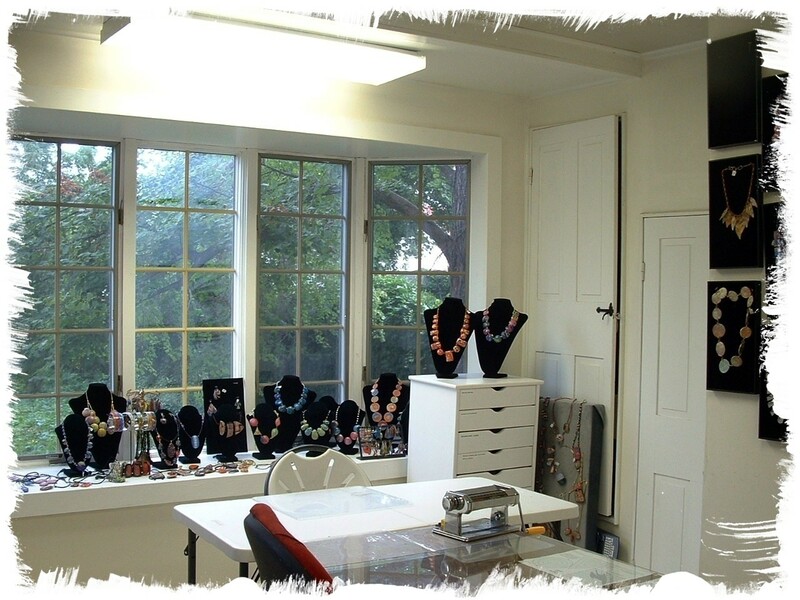 For years , the room had been a makeshift storage closet for Arlene and her husband but now it’s the studio she always wanted. I have to admit, there was something refreshingly different about Arlene’s first studio. She was a practicing lawyer and when she decided to quit, she turned her conference room into a clay area; the conference table was just right. 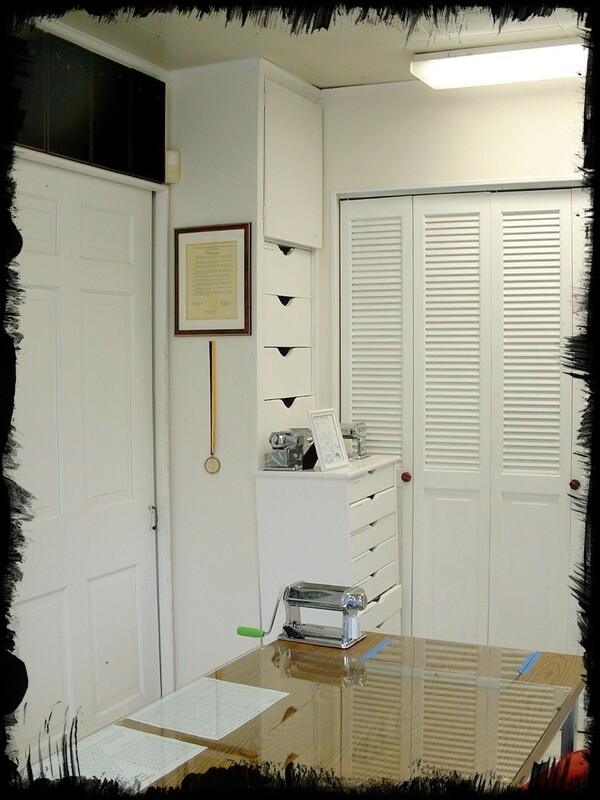 But when another tenant wanted the space, she decided to move on. She took over a room in her house but it was never quite what she wanted. Something had to be done. And in more Arlene news….